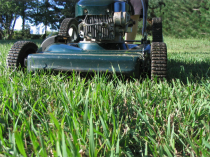 Want a greener, healthier lawn? Stop bagging your clippings. Contrary to popular belief, leaving grass clippings on your lawn after you mow is the way to go. Back in the day, lawn mowers were designed to cut grass and redistribute its naturally occurring nutrients back into the earth. The key is mowing your lawn on a regular basis. When you do so, the clippings filter into the turf canopy without detracting from your lawn’s beauty or increasing thatch – that layer of dead and living grass shoots, stems and roots that shows up between the soil and the grass blades. It’s easy to stop bagging when you follow the one-third rule: don’t remove more than one-third of the vegetation (from the soil line to the leaf tips) each time you mow. The no-bag approach also saves you time (think about how often you stop and empty your bag when you mow) and reduces the amount of waste you have to drag to the end of your driveway each week during mowing season! 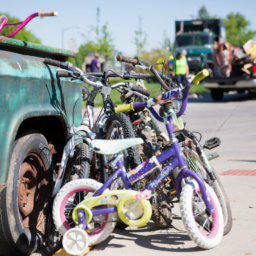 Did You Know You Can Dispose Of Your Yardwaste Curbside?